You’ve most likely never heard of the word. We did not hear of malrotation until our first-born son was in kindergarten. Half way through his kindergarten year, he started complaining often that his tummy hurt. It didn’t seem to interfere with any activity, but as the frequency of these “tummy” aches increased, I became concerned. I took him to his pediatrician who did a physical exam, but did not find anything wrong. The complaints persisted. I took him to my doctor. Nothing. I took him to another doctor in town who said if the pain continued he would order an x-ray. The pain continued. He had threw up a few times, but it was flu season. I took him back to get the x-ray order, but another doctor was filling in that particular day. She said kids get tummy aches because of stress and not to worry. The complaints continued. We saw a very kind doctor who ordered a few tests. My son had to have an Upper GI with lower bowel follow through. I did not know what that meant except for the fact he needed to not eat breakfast that morning. My strong willed five year old who often challenges his momma, drank chocolate flavored barium like a champ and had X-rays of his stomach and intestines. The x-ray showed intestinal malrotation. We then saw a pediatric gastroenterologist. It was hard to believe we finally had a diagnosis. My mind had not even processed what we would do if we found out something was wrong. All of a sudden we learn he needs surgery…and fast. Within a few weeks we were at UCLA Medical Center. 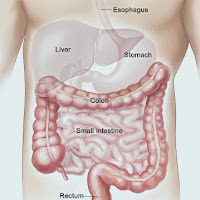 Our son had a three hour laparoscopic LADD’s procedure to untwist and straighten out his intestines and an appendectomy. As soon as he recovered from surgery, his appetite increased and the tummy aches were a thing of the past! Malrotation in a birth defect in the way the intestines rotate (the pattern they make during the 10th week of pregnancy). Malrotation cases are often caught because of severe pain, weight loss, blockages, vomiting bile, etc. My son had consistent, mild pain. It is really a blessing that he was diagnosed. I thank God for allowing me to be persistent and not stop until I had answers. He is our Protector. If your child vomits bright green/yellow bile, take them to the ER immediately. Trust your God given instincts.